Happy Wednesday! 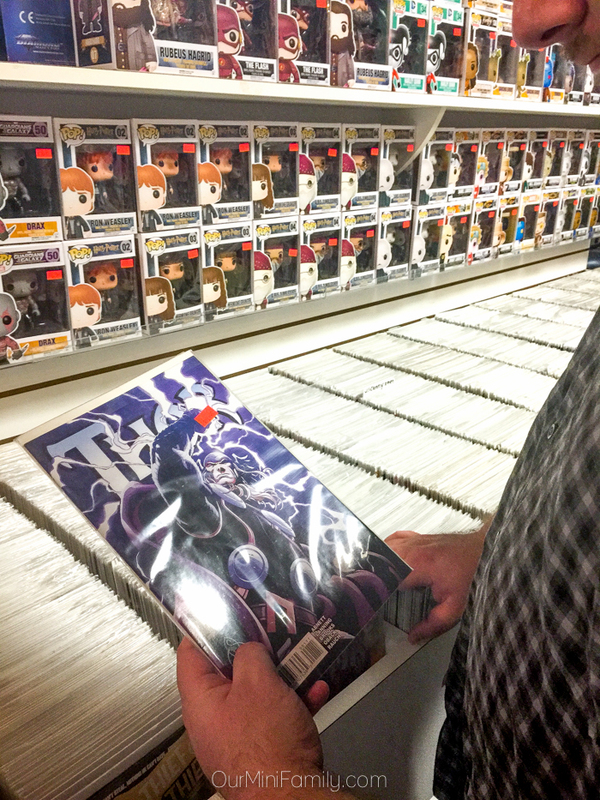 We're nearly through the week and hubby and I are already thinking about what we're doing for date night this week--last week's date night was pretty hard to top though, because we totally geeked out and had a date night at our local comic book store! 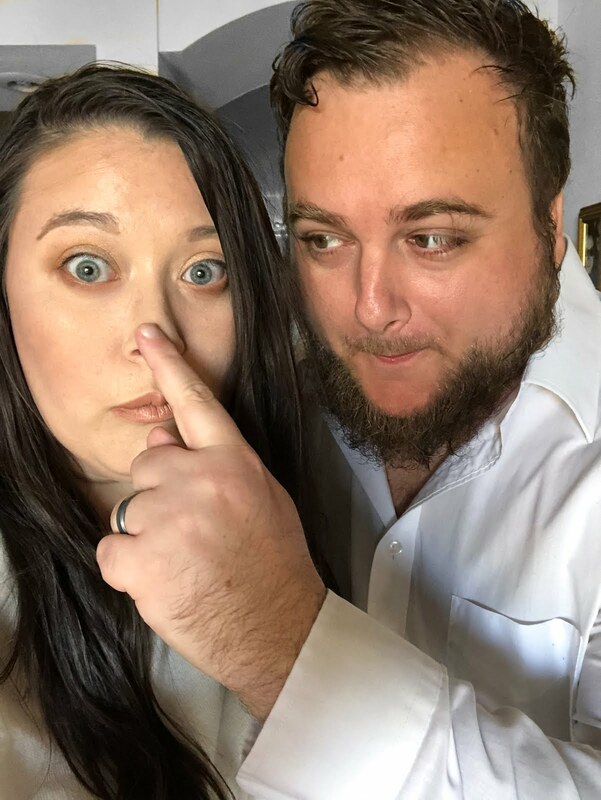 It was such a blast! Last Thor's day (hah, get it?! Sorry, I couldn't resist The Avengers pun opportunity! 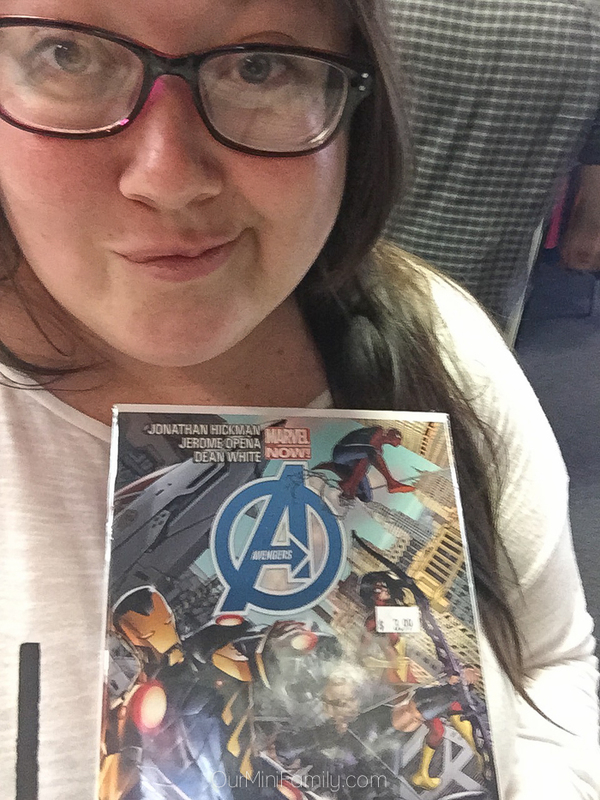 ), my husband and I drove downtown to our local comic book store and spent our date night together there. 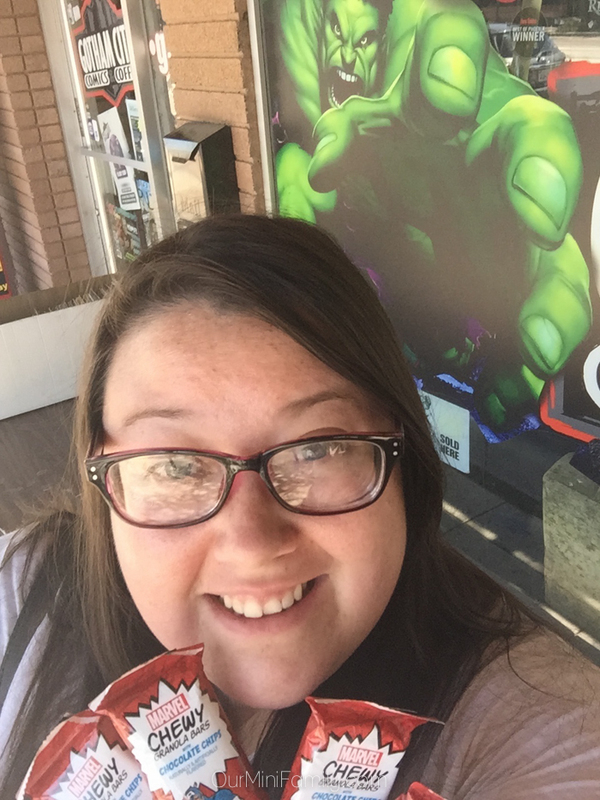 As many of you know, Adam and I are huge comic book nerds and we are pretty obsessed with MARVEL; we've share a few MARVEL-themed posts on our blog including: a MARVEL's The Avengers: Age of Ultron movie marathon party, an Iron Man-themed birthday, and when we checked out The Marvel Experience hyper-reality tour in Phoenix! 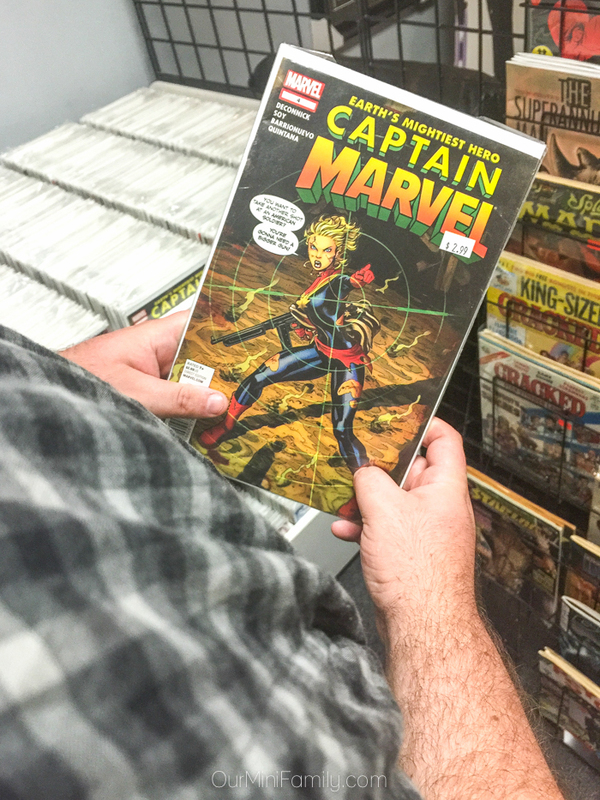 Our love for MARVEL is the main reason why we're drawn to comic book stores--and we had a lot of fun exploring our local comic store for date night! 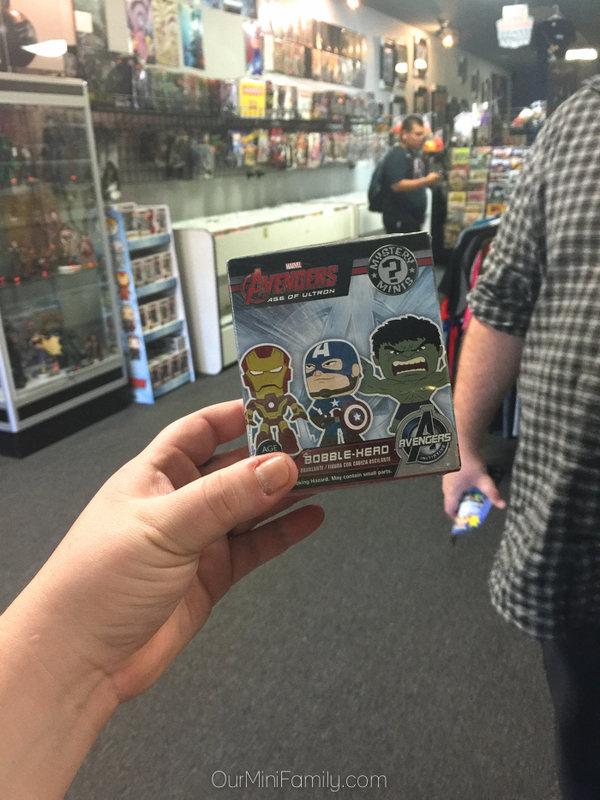 We found so many awesome MARVEL treasures at the comic book store! 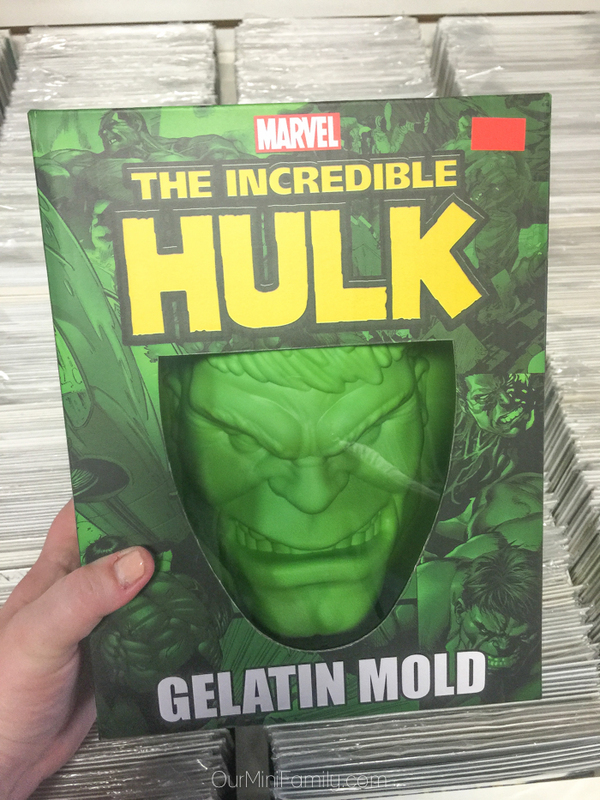 Two of my favorite things I found were The Avengers bobble heads, and also The Incredible Hulk gelatin mold! Can you imagine how much fun it would be to bake a cake that was in the shape of the Hulk's head? Hilarious! 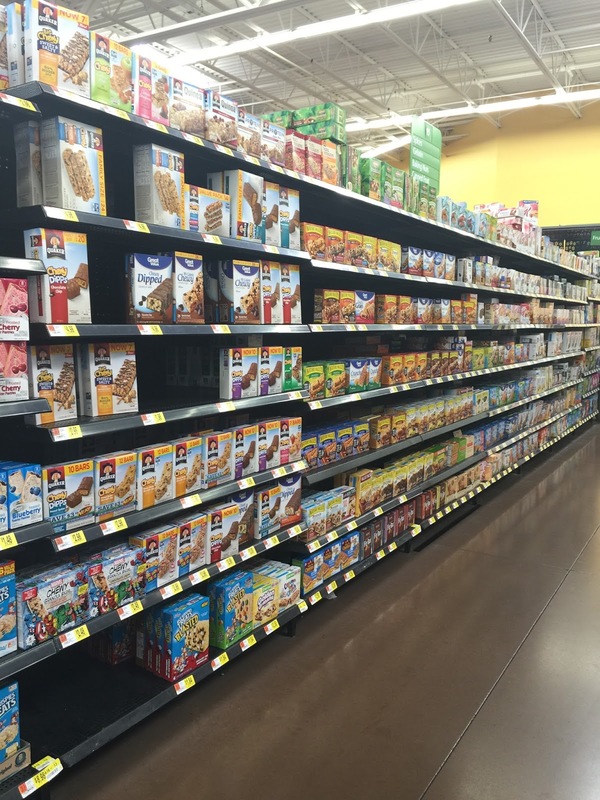 Question is, what flavor cake would I bake? 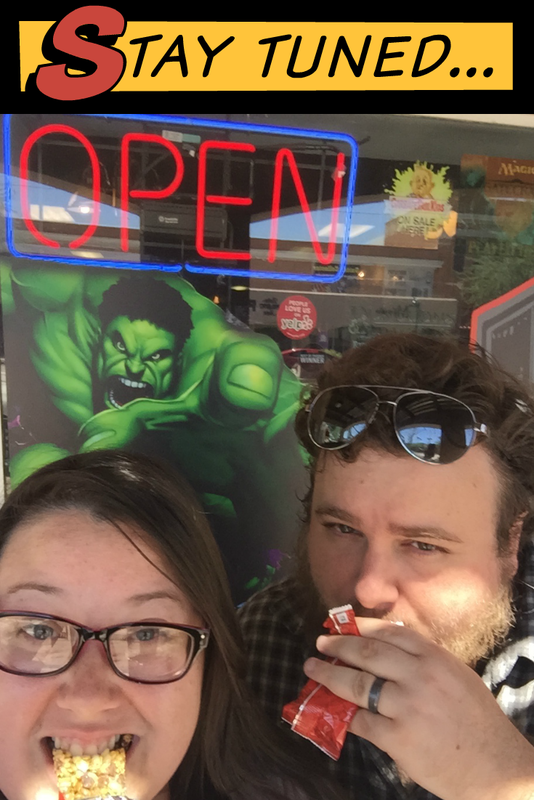 Since I knew we'd be spending a lot of time out at the comic store for our date night, I brought along my MARVEL Chewy Granola Bars for us to snack on! 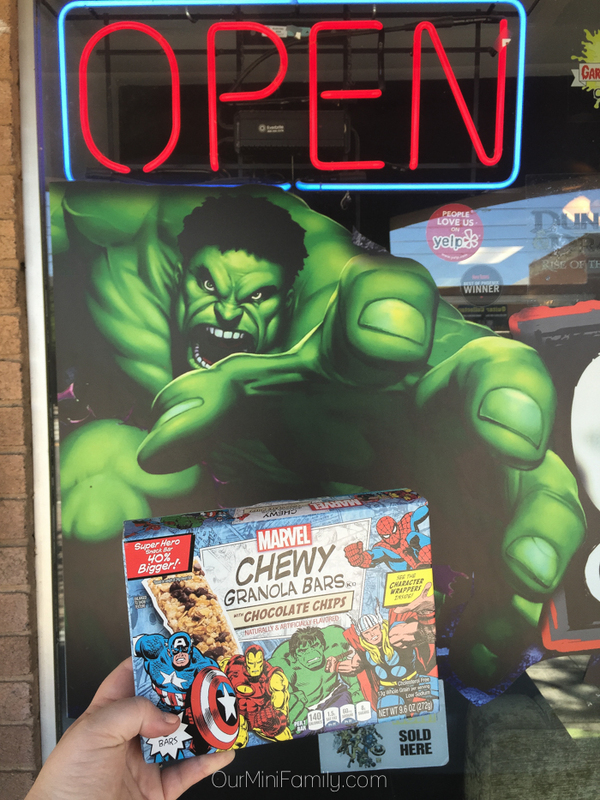 These Super Hero Snack Bars are 40% bigger based on weight of 24g chewy bar, and the wrappers are decorated with pictures of Captain America, Hulk, Spider Man, Iron Man, Black Widow, and Thor! 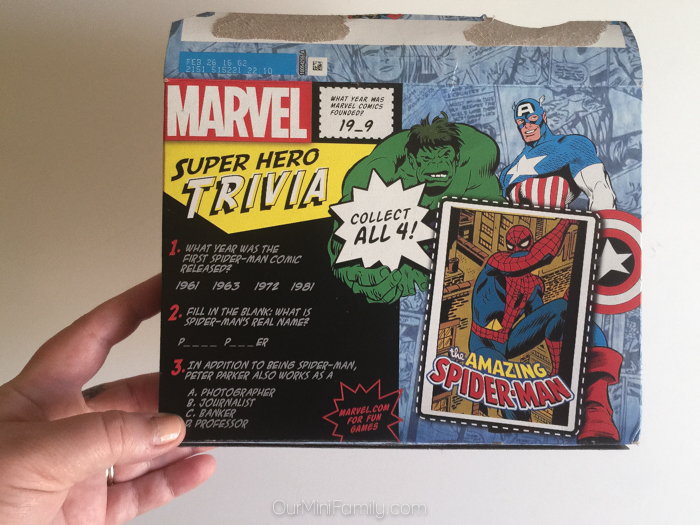 On the back of each box, there is a collector card featuring either Hulk, Iron Man, Hawk Eye, or Spider Man! 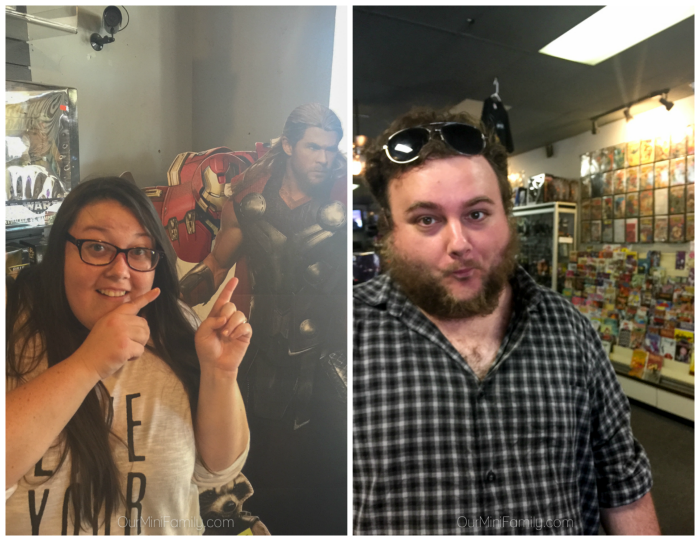 We had a wonderfully geeky date night, and we're sure to go to the comic book store again some time soon! 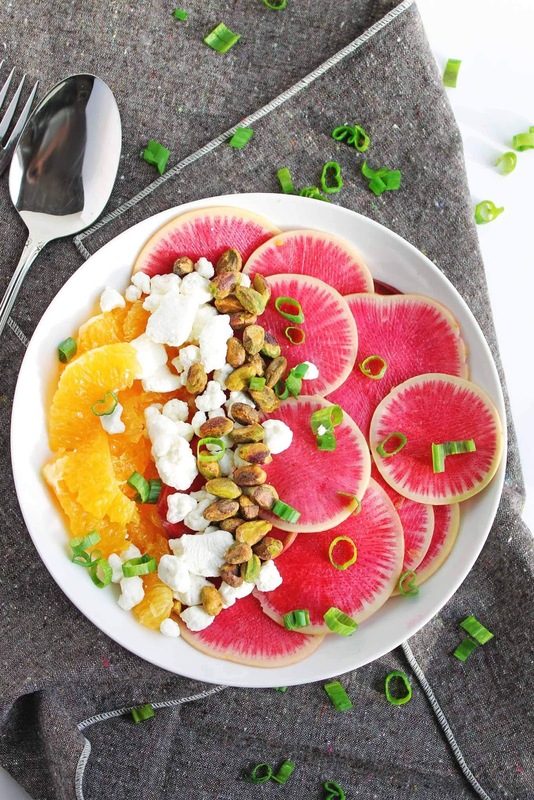 Check out http://cbi.as/rp0x to see how you can snack like a super hero!